So you are on the job hunt? You want to make a difference where you work and you want to be noticed for your efforts. Read below and determine for yourself if Big Island Honda is the right fit for you! We bet it is. 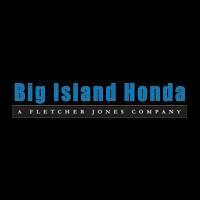 What We Do- Big Island Honda, a Fletcher Jones company, is a small but fast growing family-owned business transforming the automobile industry by pioneering a revolutionary approach in which guests, not customers, are treated like they are visiting a 5-star resort. We are constantly putting new ideas into motion and on the cutting edge of technology and innovation. As a company we strive to exceed expectations in the spotlight and behind the scenes. Guest Experience- By diving deep into data and into our guest interactions, we go beyond the standard norms and create a world class guest experience. We anticipate requests and strive to make every step that our clients take almost effortless. At Fletcher Jones our guests are VIP’s and that means ultimate luxury treatment. How do we keep our guests so happy? Well, we keep our associates happy first. Our Culture- Come to work knowing that your ideas and opinions matter. In fact, they can change the way the company runs. We love a team atmosphere and don’t mind a friendly competition. Show off your talents, develop your career, and work with the brightest and most innovative people around. We offer competitive pay, great benefit plans, and a team camaraderie you can’t beat. Who you are- You are creative, take initiative, and act in a manner that exemplifies personal and professional excellence. We are seeking to hire candidates that are looking to produce outstanding results through a commitment to work hard and provide continuous and never ending improvement. 0 comment(s) so far on Get Hired!